A shocking scene at Bellewstown Races Co. Meath where champion jockey, Paul Carberry’s horse is stolen from him in the parade ring when a woman jumps over the barrier. Everyone looks astonished as the woman makes her way onto the race track and takes off towards the grandstand. 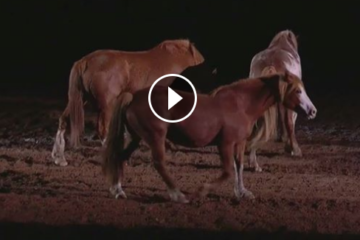 The event was created by Publicis Dublin to promote a TV series for TG4 called Jockey Eile, where amateur riders compete against each other to win a job as a jockey. I knew she rode a little too well for this to be real! 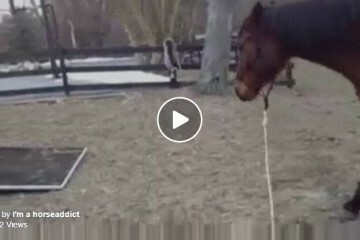 Share this on Facebook if you’ve ever wanted to jump a fence and ride a fancy horse! 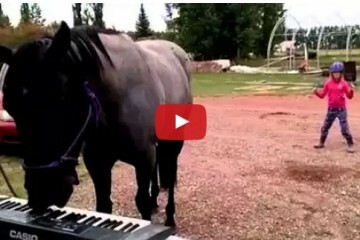 Watch This Musical Horse Play The Keyboard Surprisingly Well….She Even Has A Backup Dancer! 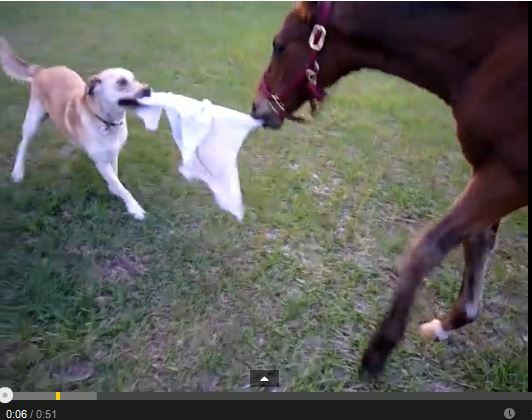 Baby Horse & Dog Play Tag!